Sporting KC defender Opara to undergo surgery for season-ending injury – Welcome to Wyandotte Daily! Sporting Kansas City defender Ike Opara will undergo surgery on April 16 to repair a chondral defect in his right ankle and is expected to miss the remainder of the 2014 season, the club announced on Thursday. Opara suffered the serious season-ending injury in the 57th minute of Sporting Kansas City’s 3-2 victory at Colorado on March 29 in a collision with Rapids defender Jared Watts. Opara has made 60 MLS appearances (including postseason) in five professional seasons since being selected No. 3 overall in the 2010 MLS SuperDraft. 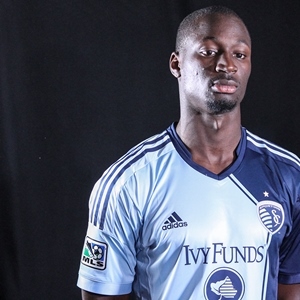 Sporting Kansas City acquired Opara prior to the 2013 season and the 25-year-old centerback has played 30 games in all competition for the club over the last two years. Opara has been a key contributor for teams that have won the NCAA National Championship (Wake Forest, 2007), Supporters’ Shield (San Jose, 2012) and MLS Cup (Sporting Kansas City, 2013). He represented the United States at the 2009 FIFA Under-20 World Cup and was most recently a member of the U.S. Under-23 Men’s National Team.